Sony has really grasped the hybrid market releasing a range of different formats that all pack great image quality. Their latest release, the Sony a5100, sits in their Advanced Amateur Range and replaces its predecessor, the lower resolution 20Mp Sony a5000. Billed as the world’s smallest interchangeable lens camera, the Sony a5100 is aimed more towards the mass market than the serious amateur or pro photographer, but boasts some pretty decent specs nonetheless. Sony’s marketing spiel talks about a convenient and portable pocket sized camera, and whilst no doubt the Sony a5100 will be the smallest on the market, just, how pocket sized it is will depends on the lens used. With any of the standard kit lenses attached you’re going to need fairly chunky pockets we suspect, but there are a couple of smaller Sony ‘pancake’ lenses available in their E mount range that will reduce the overall size of the camera. If size doesn’t matter then the Sony E mount range also offers a good choice of around 20 lenses including primes, zooms, telephotos and ‘fast’ lenses with large maximum apertures, so there’s lots of photographic potential as your practice develops. Exmoor CMOS sensor, very similar to the sensor used in the higher end Sony a6000 model, as well as their DSLR style cameras such as the SLT Alpha 77 II. The advantage of a larger sensor is improved image quality and Sony has scored extremely well in our DxOMark Sensor scores, producing some of the best sensors available. 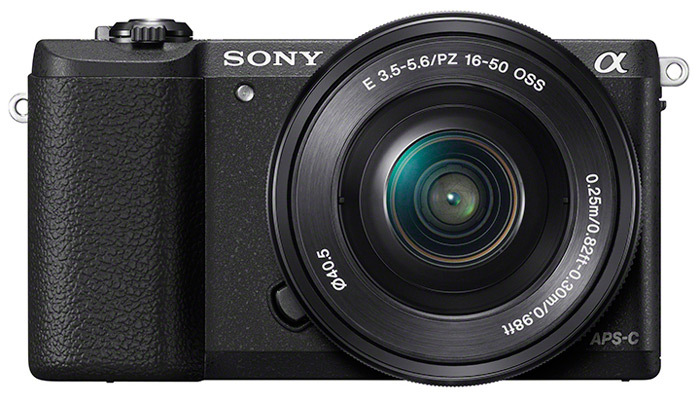 In fact, the Sony a6000 currently ranks top of our database for image quality on an APS-C hybrid camera and, with what looks to be a very similar sensor in the Sony a5100, we expect that this latest model to score highly, too. 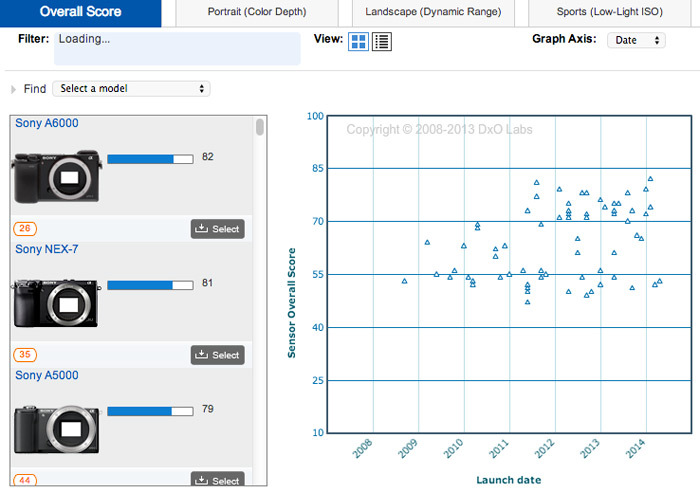 Look back for our industry standard lab tests and sensor scores for the new Sony a5100 in the coming weeks. The Sony a5100 sensitivity range has been extended to ISO100 – 25,600, offering more sensitivity than its predecessor, the Sony a5000, which maxed out at ISO 16,000. For image processing Sony have also incorporated the same Bionz X image-processing engine found in their flagship hybrid a7 series for high quality in-camera image processing. 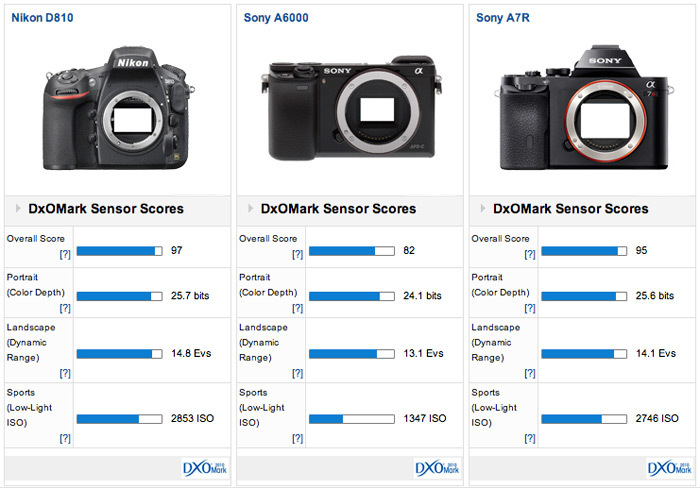 With a DxOMark Sensor Score of 82 the Sony a6000 comes out tops for Sony hybrid cameras. Look out for our scores from the new Sony a5100 featuring a very similar sensor soon. 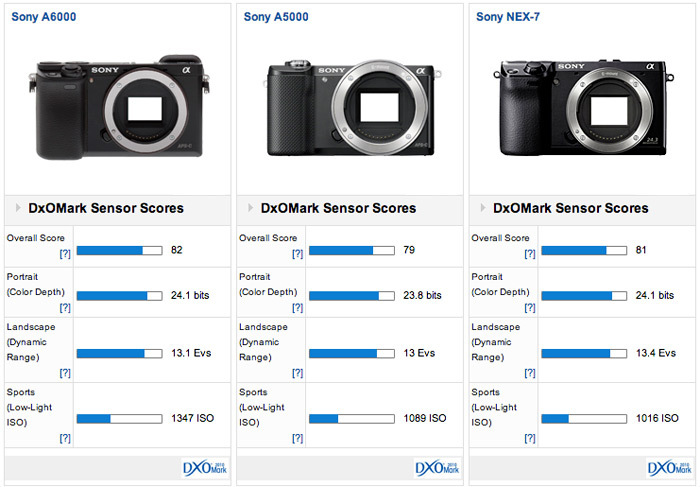 Recent Sony models currently occupy all 3 top spots for hybrid cameras featuring an APS-C sensor on the DxOMark Sensor Scores database. Full frame sensors, like the Nikon D810 DSLR or Sony a7R compact system camera, offer a step up in image quality but cost significantly more than the Sony a5100. So image quality expectations are high, but what else can we expect this svelte camera to deliver? Well Sony’s hybrid autofocus system from the a6000 has filtered down to the a5100, offering 179 phase-detection AF targets for fast and accurate autofocus, combined with 25 contrast-detect points that offer autofocus right up to the edge of the frame. The AF system offers tracking options, which are also available in video mode, and together with 6fps continuous burst shooting the Sony a5100 should be a fairly reliable option for sports and action photography. There’s also a 3.0in 921k-dot touch screen LCD screen, which offers Touch Focus for selecting your point of focus by just touching the screen, together with a Touch Shutter function that takes a picture in the same way. The LCD also rotates around 180 degrees, meaning you angle the screen in a variety of different positions when composing your shots, including flipping the screen all the way around for a perfectly composed selfie! On the downside the Sony a5100 doesn’t feature a built-in Electronic Viewfinder (EVF), or a hotshoe for connecting an external EVF, so you’re going to have to rely on the LCD screen for framing up pictures. That won’t concern most of the targeted audience who are used to composing their pictures in this way but it does limit the Sony a5100 somewhat. The omission of the hotshoe also means you’ll have to rely on the small pop-up unit for flash, which offers TTL exposure and +/-2Ev flash compensation. For shooting video the Sony a5100 offers full 1920x1080px HD resolution in either 60p/50p, 60i/50i or 24p/25p frame rates, compatibility with the popular XAVC S format as well as AVCHD / MP4 codex, and features a built-in microphone for sound. There’s also built-in wi-fi for easily distributing pics straight from the camera and NFC compatible for sharing between NFC devices. 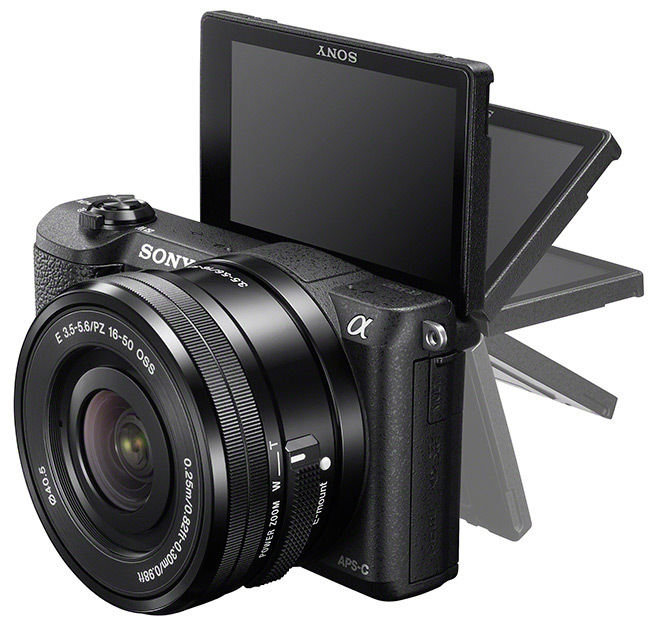 The Sony a5100 is available mid September priced approximately £420 Body only, £550 including the 16-50mm kits lens or £760 with the 16-50mm + 55-210mm.